I like simulation games. SimCity - every version. MS Flight Simulator - every version. Train Simulator. 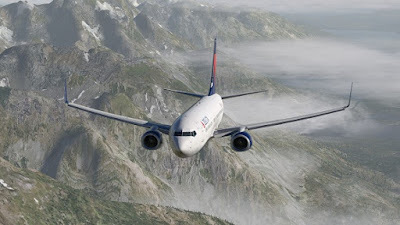 X-Plane. Ship Simulator. I've played them all. Flying is the most fun. I was addicted to Microsoft's Flight Simulator, until it stopped working reliably in Windows 10. So I gave X-Plane a try. The first version I bought, version 10, came on DVDs with scenery for the entire planet. This made it laborious to install, unless you chose only a fraction of the world's scenery to install. Its interface was definitely not as nice and as intuitive as Microsoft's Flight Simulator. But it worked. Enter the new version 11, which had been in beta for the last few months and just got released as a formal version. Wow. Much, much better. Digital download! A very intuitive interface. Now you can view the map while you fly. They did a superb job with the video realism. I tried a quick flight from San Diego to Palm Springs in a small private jet and the way the sunrise reflected off the aircraft was amazing. Much more going on too, as airports look realistic and have ground vehicles racing around. Assigning flight controls to my joystick was a breeze. The only thing I have left to try is filing flight plans and using air traffic control. Then we'll sit back and wait for plane designers to come up with some new aircraft to install for this version. If you want to give flight simulation a try, this is the one.